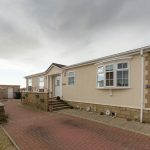 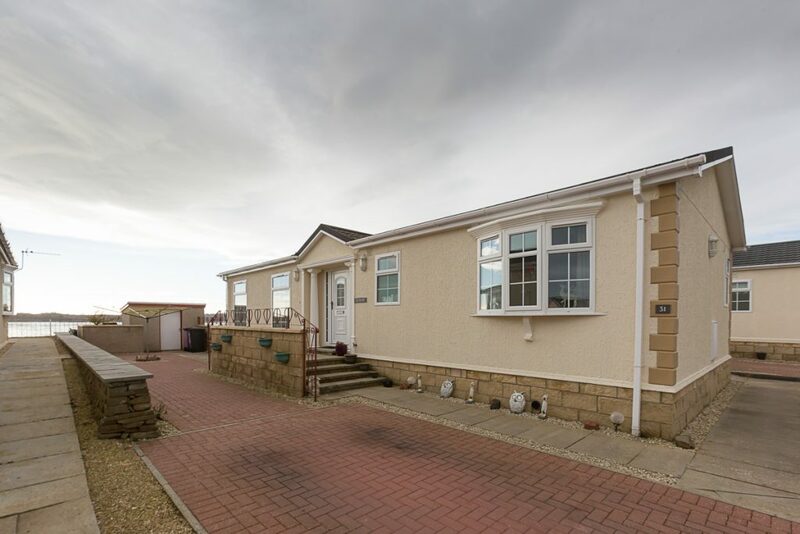 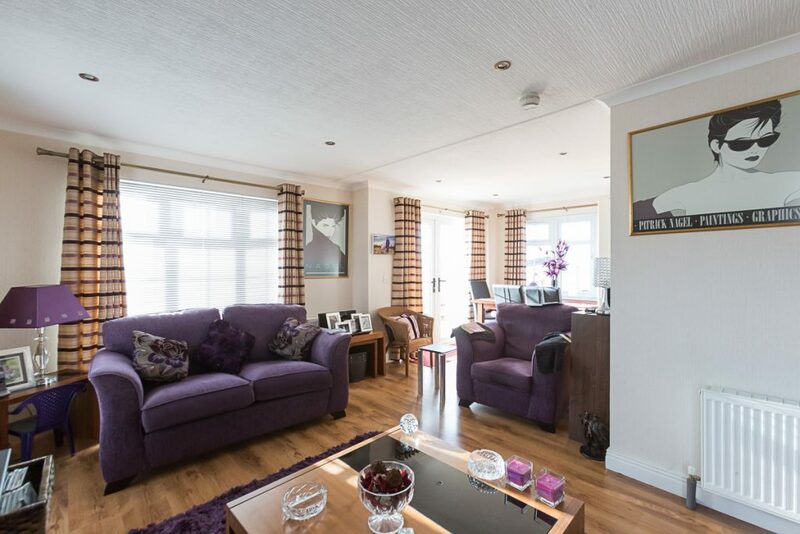 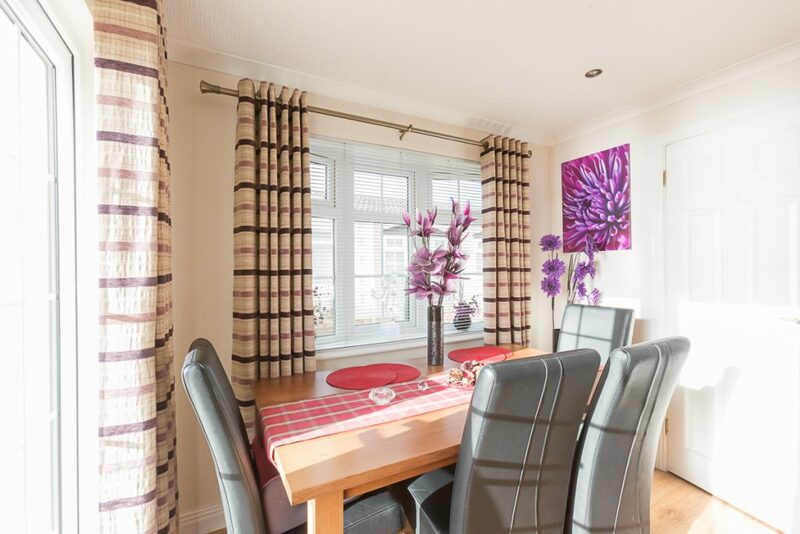 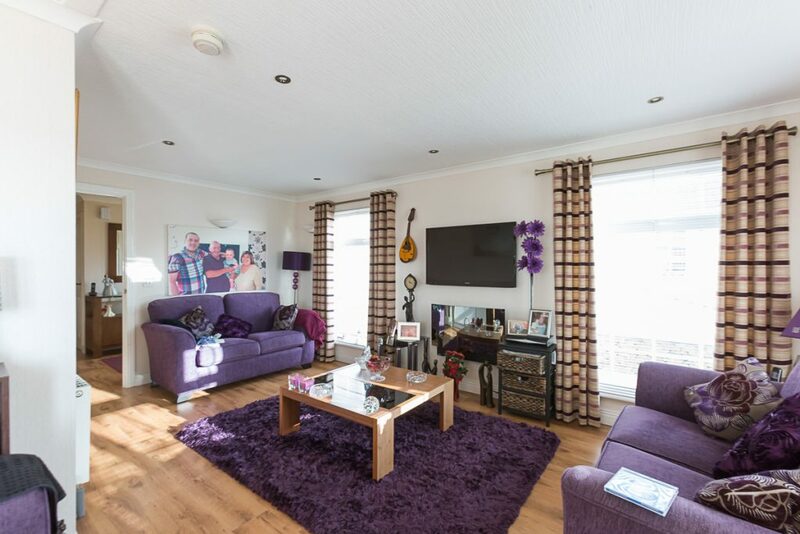 This detached park home is located within a delightful retirement village for the Over 50’s on the edge of Montrose heading west towards Brechin. 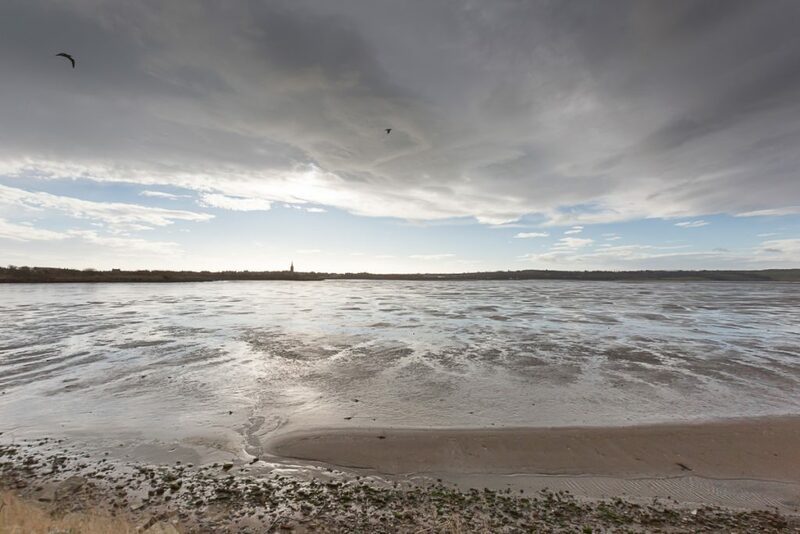 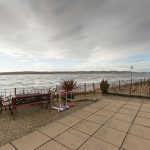 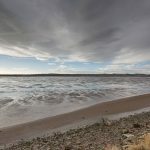 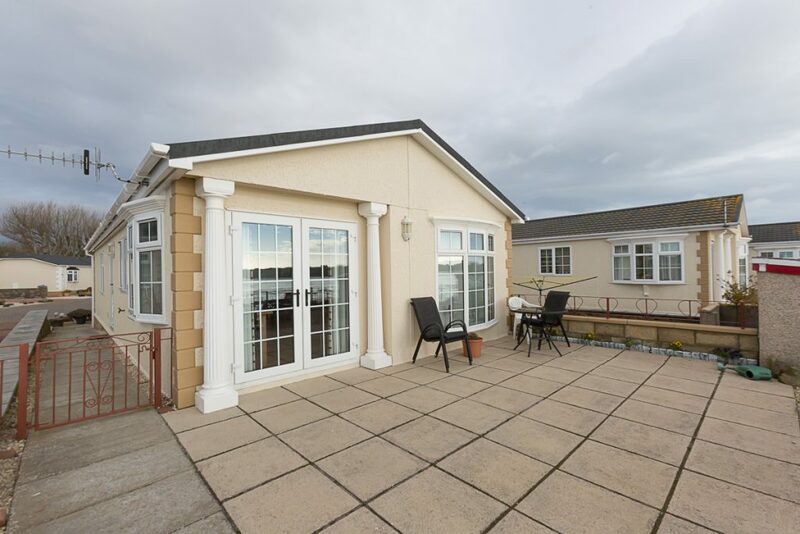 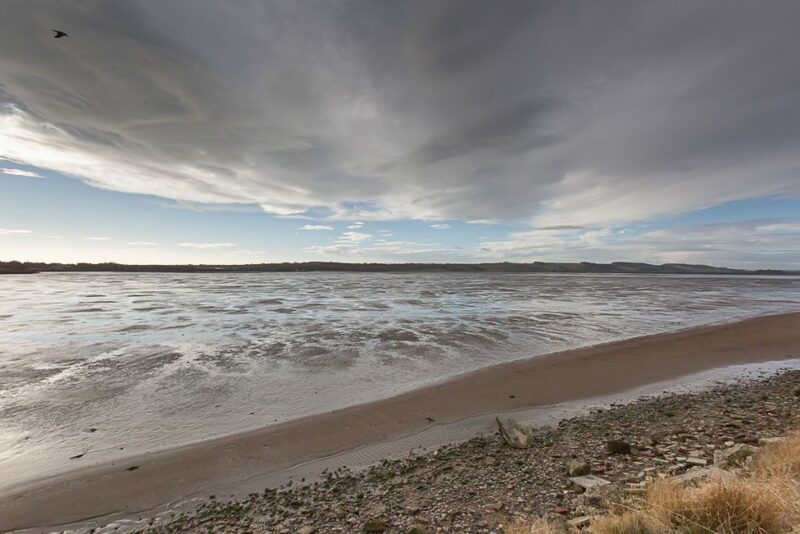 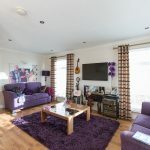 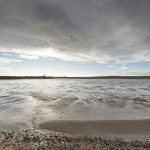 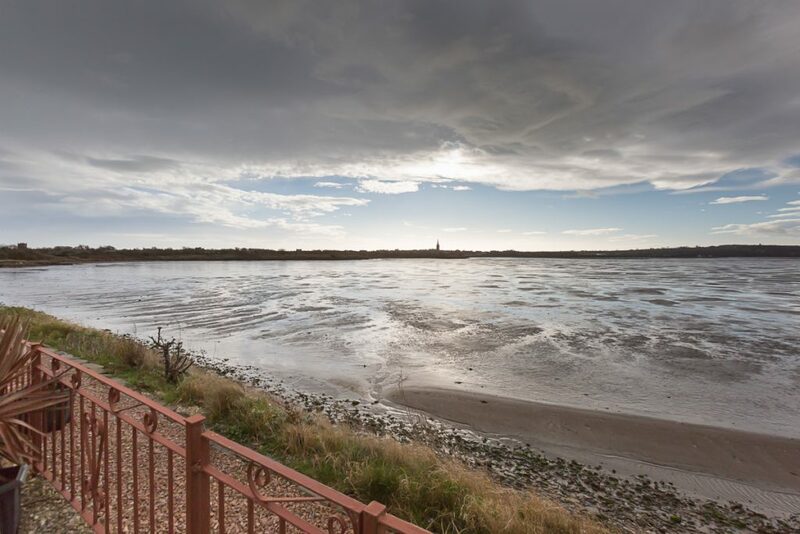 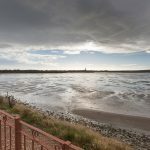 The property provides comfortable living all on one level and enjoys a prime site within the development with waterside views over Montrose Wildlife Basin towards the Angus Glens and beyond. 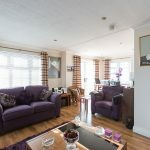 Entry into the inner hallway gives access into a bright spacious lounge which has ample room for dining and has impressive open views over the Basin with patio doors out onto the patio garden. 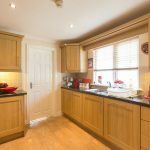 The side facing kitchen is fitted to base and wall units with a double electric oven and hob with extractor hood above. 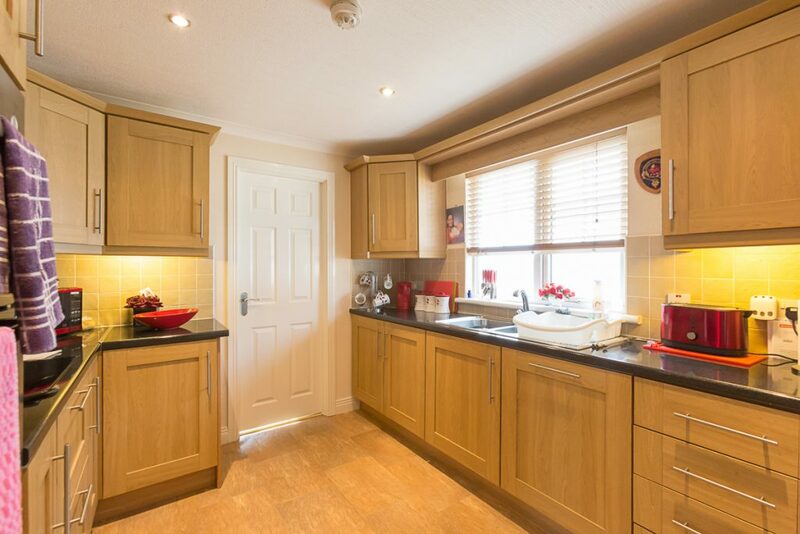 There is also an integrated fridge, freezer and dishwasher. 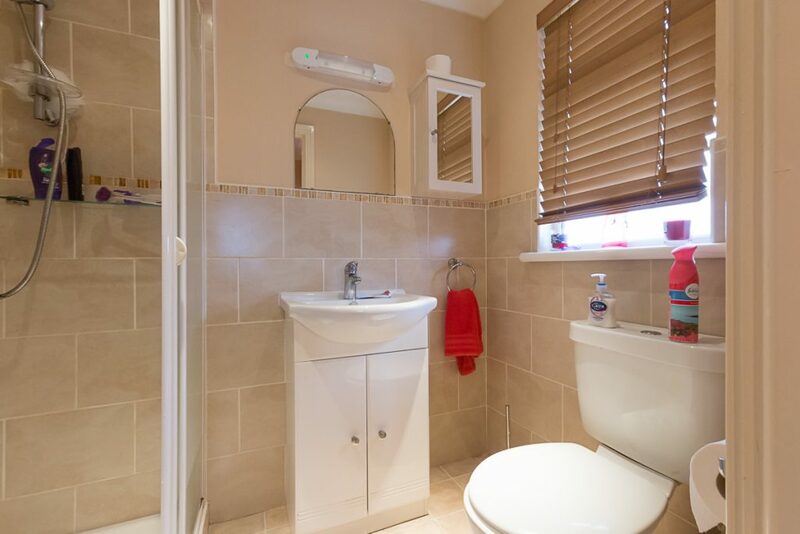 From here there is access to a convenient utility room which has an integrated washing machine and tumble dryer and a door out to the side garden. 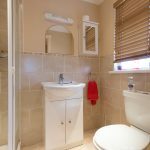 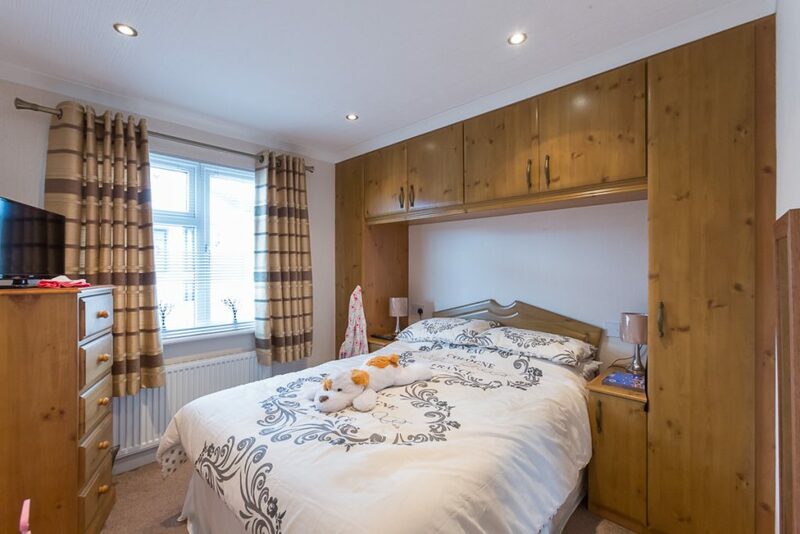 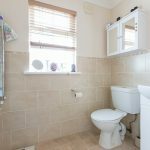 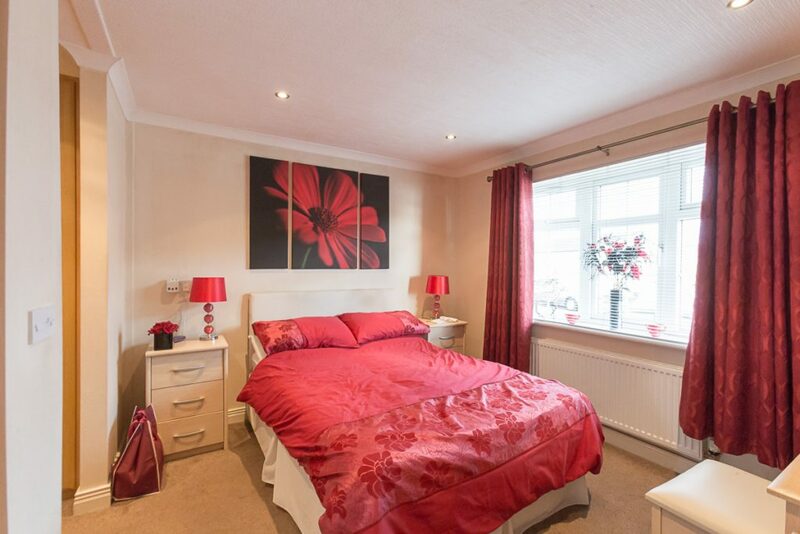 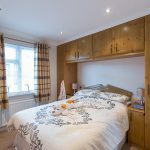 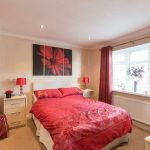 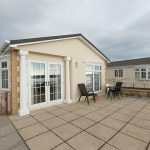 There are two bedrooms including the master bedroom which has a dressing area and an en-suite shower room, and a family bathroom complete with a three piece white suite with an over the bath shower. 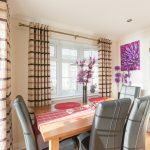 Outside, this home is surrounded by low maintenance garden ground with a lockblock driveway to the front providing off-street parking. 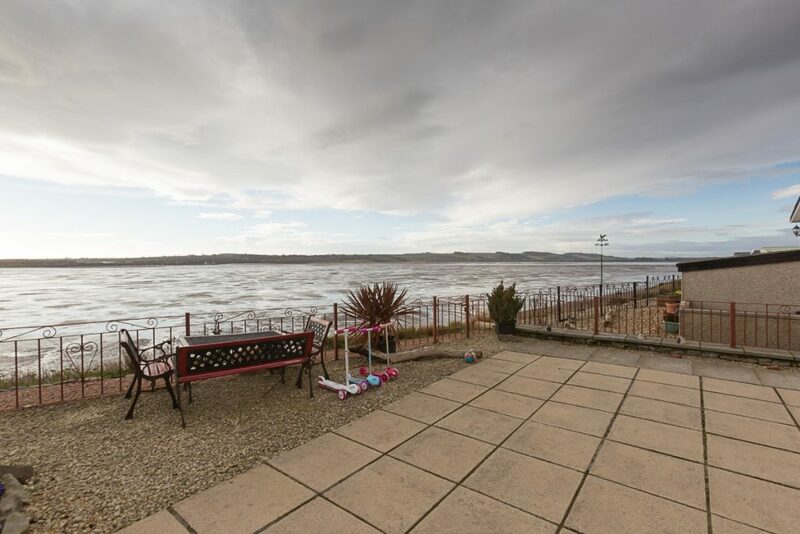 The delightful patio area is ideal for entertaining, sitting at the edge of Montrose Wildlife Basin enjoying the views. 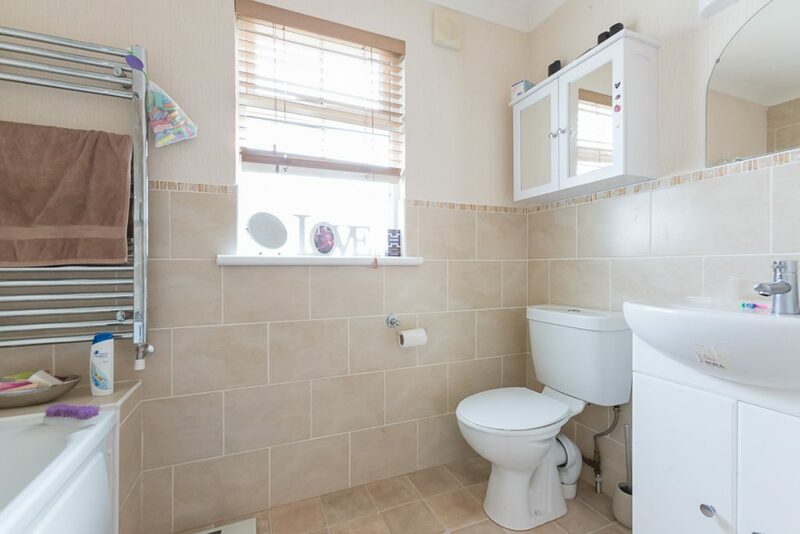 There is a rotary dryer, oil tank and a brick built outhouse for additional storage.